We take pride in our excellent traditional home cooked food, prepared by our chefs and kitchen staff. They are pleased to cater for all dietary needs and individual choices. Castle House has been awarded 5 stars by the Food Standards Agency. Meals are eaten either in the Dining Room, Garden Room or in the resident’s own room if desired. The kitchen is always open and the staff are happy to cook a Full English at two in the morning if required! 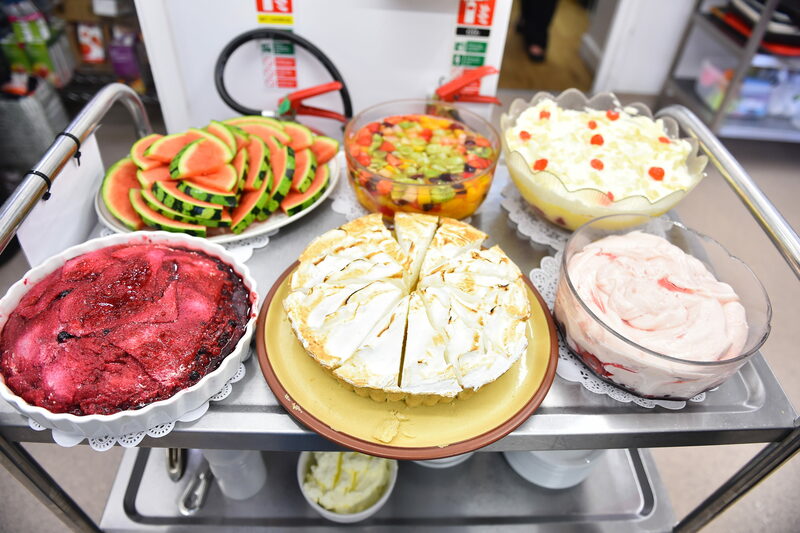 Afternoon teas are served each day, with a fabulous selection of home made cakes enjoyed in various areas within the home, or weather permitting outside in our beautiful gardens. Families of our residents are always welcome to join their loved ones for meals, pry booking in advance is recommend, as space can be limited. A small charge will be made to cover costs.